Are you bored with your morning toast? Looking to spice up the Christmas gifts this year? You're in luck because jam isn't just about grape and strawberry anymore. As it turns out, there are all kinds of things you can jam! Do you know the difference between jam, jelly, and preserves? Now that we've covered that, let's get onto the wild jam recipes. From weird to semi-normal, there isn't one of these jams I wouldn't immediately spread on a piece of toast. 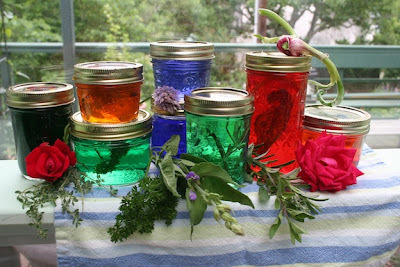 So put your aprons on, and get your canning jars ready. Before you know it, you'll become something of a legend in your neighborhood for tackling these 15 fun and funky jam recipes. Wondering what to do with all the pumpkin flesh from carving pumpkins? This recipe makes a deliciously savory pumpkin jam that is great on everything from toast to cookies. It makes it all taste like pumpkin pie! 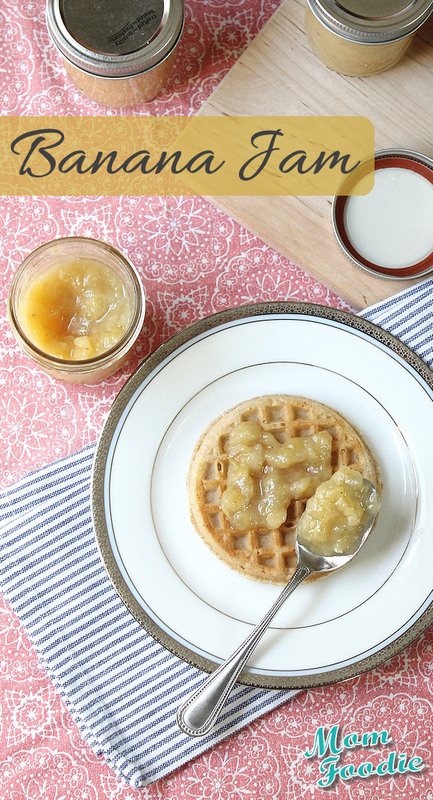 This recipe skips the commercial pectin that typically binds together jam, and is the perfect small batch for a beginner jammer to try. Just make sure you wash jars well! Carrot cake is good all year round, but I especially love it in the fall. The spiced carrots and that oh-so-good cream cheese frosting just fits in with raking leaves and drinking spiced lattés. This recipe makes me feel a little bit better about myself for eating cake for breakfast! A word to the wise: it's important to stir constantly once your jam reaches a full rolling boil so it doesn't boil over in the saucepan, a common jam you can find yourself in when making jam. 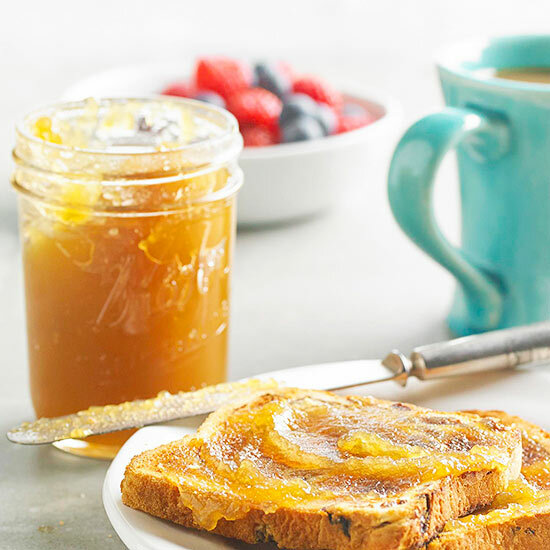 Speaking of breakfast, I think I found a new favorite recipe with this fun jam. I love bananas any way you slice 'em - in my breakfast cereal, on top of peanut butter toast, and in my ice cream. This jam guarantees I'll always have some on hand! So much more original than the classic strawberry jam or raspberry jam, this homemade jam recipe is only five ingredients. While most jam recipes use lemon juice as the natural acid to cut through the jam's sweetness, this one uses lime juice instead for an interesting twist. 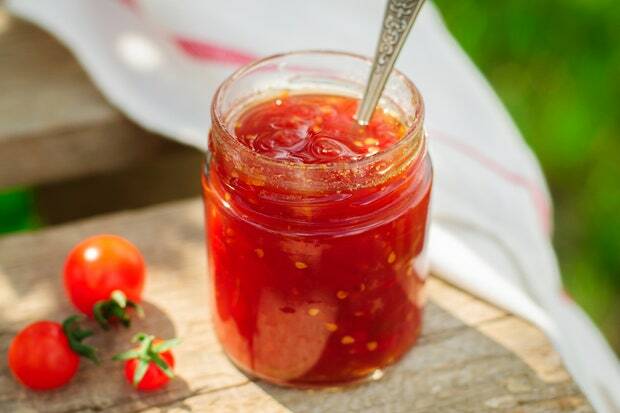 Spread it on toast or serve it on top of chilled shrimp, this recipe for sweet chili jam is addictively good! You'll find yourself pulling it out of the fridge to spread on just about everything. Apple cider vinegar serves as the acid in this jam recipe that brings together chilies and crab apples into one divine combination. This also serves as a fantastic Halloween party appetizer as the color turns out brilliantly reddish orange. 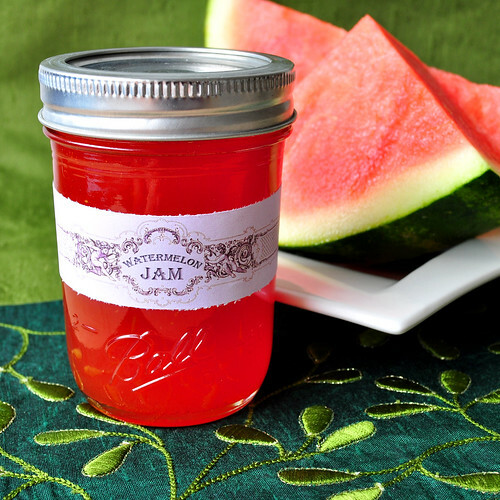 I thought that pickled watermelon rinds were life-changing until I heard about this recipe for watermelon jam. While it doesn't rely on natural pectin and instead calls for a packet of the powder, it makes this watermelon jam so, so worth it. Just don't forget the water bath at the end to lock in freshness. It's unique, it's intriguing, and I can't wait to plop a dollop of this inside some cupcakes! 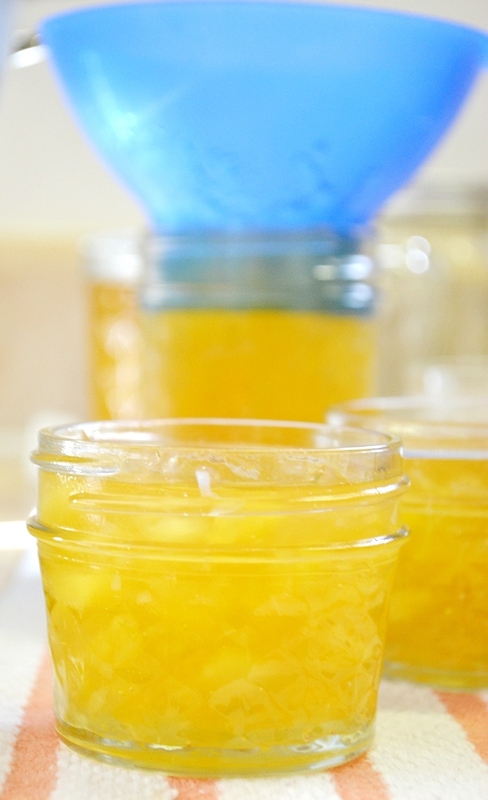 For an added twist, add some lemon zest for beautiful gold flecks throughout. Who needs a fresh strawberry jam recipe when you have a watermelon one instead? Technically a conserve, this "jam" is completely unique (and also totally brilliant). 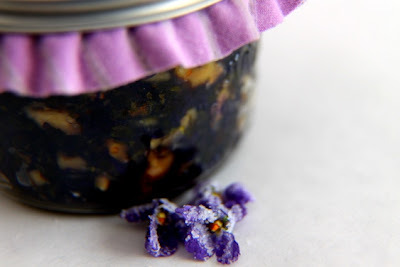 Instead of throwing violet flowers into the compost, this recipe pairs them with creamy walnuts to make a jam. This recipe is basically no cooking required. Simply mix the three ingredients together, and can it up. Serve it on top of cheesecake to wow your dinner party guests. 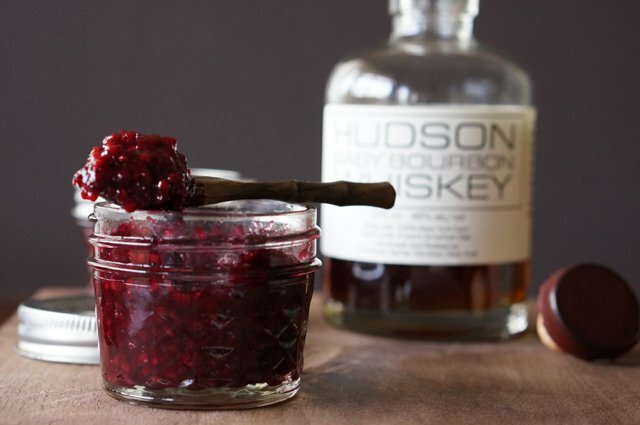 Speaking of wowing your guests, this recipe for "boozy" jam will have everyone in the neighborhood talking (and asking for a jar). It'll be so tasty, they'll never know it's a virgin piña colada until they see you eating it on yogurt for breakfast. Though the first photos of the recipe use a jam maker, there is a whole set of directions dedicated to the stovetop method in a large pot. However, don't be afraid to pull out the food processor to finely dice the pineapple. When it comes to jelly recipes, you can't go wrong with chocolate ever. So unlike the virgin piña colada above, this one actually is boozy. This recipe uses your favorite chocolate stout and jams it up with sugar and pectin. Serve this one on St. Patrick's Day as the sweet component of your cheese platter, or on Christmas morning as the extra special treat for the breakfast casserole waiting in the oven. The recipe for this onion jam is so good, you definitely won't be crying. I mean, why go sweet when you can go savory? This jam is perfect when served on a charcuterie platter. Bacon jam. I just want to repeat that a few more times--bacon jam. What could possibly be better? You should make a double batch of this recipe because I have a feeling it won't stick around for long! I thought I was being resourceful when I used corn cobs to make corn stock, but this is really taking sustainability to the next level. 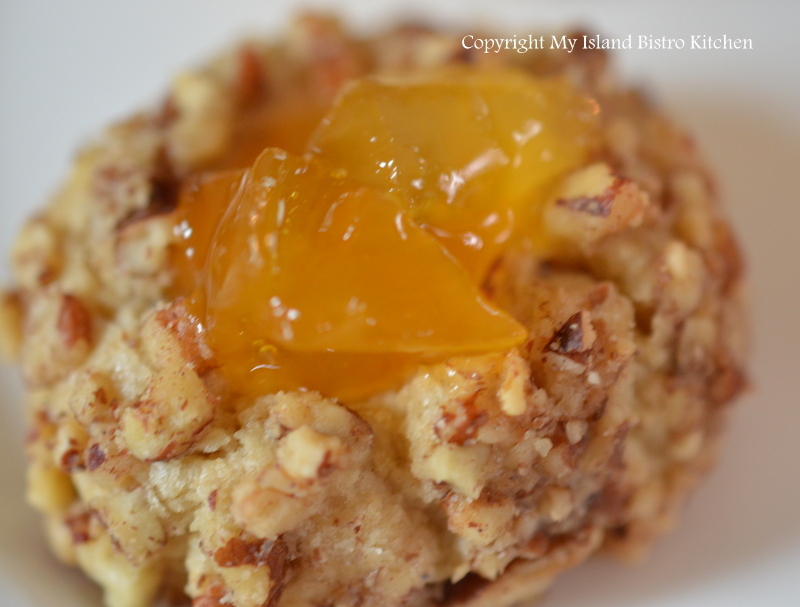 Making this recipe (and serving it on freshly made biscuits) might be a new summertime tradition at my house! Move over ketchup: I'm making this recipe for tomato jam and never using ketchup again! I can't wait to try this on my next sandwich. I love everything about caramel apples, except making them. Now I don't have to anymore! This recipe captures everything you love about this fall favorite without any of the hassle. I'm putting this in my oatmeal tomorrow! This flavorful jelly is a great way to add low-cal flavor to any meal. Jazz up anything from your morning meal to your evening snack with this herbaceous recipe. I can't believe I have never had this jam in my life! It's sweet, it's mellow; it's subtle, it's bold. This jam is everything I could ever want, wrapped up in a beautiful jar. Make a batch of this recipe for your friends and family and give them out for Christmas. You'll be on the top of everyone's list!